Reading Buddy Software is a result of one mom's journey to improve her child's reading, turned into a professional opportunity to help others. Q: How did you become interested children’s reading? A: It’s personal. I know first-hand the pain a parent feels when their child struggles with reading. Many years ago, I spent thousands of dollars to have my son evaluated when his teacher informed me that he wasn’t able to read like the other children. A: I did what I was told. I had him tested. And after 2 days of intensive evaluations (and thousands of dollars out of pocket), I was left all alone with 2 words: Dyslexia and ADD. These words took me into a dark hole of second-guessing and guilt: maybe I didn’t read to him enough, maybe I should have played Mozart in his crib, maybe I shouldn’t have eaten salmon while I was pregnant. Q: How did you get out of that dark hole? A: Knowledge! I spent the next few weeks, which turned into months, and then years, researching the keys to improving children’s reading. I educated myself, took training courses, and got my son on what I hoped would be a path to fluency. Long story short—we succeeded! My son, who struggled to get through The Cat in the Hat, was now reading The Catcher in the Rye. A few years after his original diagnosis, I had him retested and verified what I already knew—not only was he reading above grade level, but there was no sign of dyslexia. Q: This sounds like a mammoth parenting responsibility. How much time did it take you? A: It took thousands of hours. It’s totally unrealistic for most parents who struggle to balance work, other children, chores, a marriage, etc. That’s why I created Reading Buddy Software. I took everything I learned and all the solutions that worked and put them into one downloadable product. Q: Can’t school solve the problem? A: As I explain in my report, “7 Secrets to Transforming Your Child’s Reading,” improving a child’s reading level requires a lot of 1-on-1 instruction, which is simply beyond what’s possible in the classroom. A: Tutoring can work. There are, however, two big problems with tutoring. First, it’s fiercely expensive. For a child to dramatically improve their fluency or comprehension takes at least 100 tutoring sessions. Ideally, these sessions should occur in a 3-6 month period. So you’re talking $5000-$10,000. Most parents don’t have it. Even for parents who do, Reading Buddy Software costs a fraction of that and it’s a better solution. Q: What’s the second problem with tutoring? A: The schlep; back and forth to the tutor or the center… who has time for it? Most parents I know aren’t looking for another taxi responsibility. Q: What about online reading programs or reading games? A: I looked into every one of them—they don’t work. And the reason is the same in every case—because there’s no real-time corrective feedback. In other words, young readers need on-the-spot help. A tutor, a parent, and Reading Buddy Software are the only solutions that listen to your child read, detect errors, and offer on-the-spot help. Q: Reading Buddy Software acts like a tutor? It listens to the child read and responds by teaching them? How is that possible? A: You’re really asking about the origin of Reading Buddy Software. Why did I develop Reading Buddy Software? And what makes it such a unique solution? A: As we discussed, it’s key for young readers to get on-the-spot feedback when they read. But most parents don’t have the time (or the relationship) to read with their children uninterrupted for 30 minutes each day. And most parents can’t afford $10,000 for tutoring. But kids love technology. And if Suri understands our kids on their iPhone, then I decided I could create software that could “understand” their reading. That was the beginning of Reading Buddy Software. The patented Fluency Scoring Radar™ listens to the child read, detects errors, and gives the child on-the-spot help. It’s like having a tutor in the computer. Q: What else can you tell us about the process of creating Reading Buddy Software? A: I created Reading Buddy Software with the both the parent and child in mind. For the parent, it’s economical, convenient, and, most importantly, it works. Most children who use Reading Buddy Software improve their fluency and comprehension by over 50% every 3 months. For the child, it’s fun and they get the 1-on-1 instruction they need. Q: You said Reading Buddy is “convenient” for the parent. What do you mean? A: It’s hard to get our kids to do what they’re supposed to do. It’s especially hard to get them to practice reading. And both the parent and the child hate the reminding and the nagging, which leads to tension and a souring of the parent-child relationship. Well, Reading Buddy Software eliminates the power struggle. Reading Buddy Software takes the parent out of the hot seat and does the tough work for them. All the parent has to do is go through Parent Set-Up and enter their child’s prizes. Then, Reading Buddy Software’s Point & Prize System takes over, motivating the child to read. The parent can login anytime and listen to their child’s readings (their all recorded), view data and charts that monitor word accuracy, fluency, comprehension, and time spent reading. So, you see, Reading Buddy Software is not only the child’s buddy, it’s the parent’s buddy too. Q: How long does it take with Reading Buddy Software before you see a big difference in a child’s reading level? A: Most children who follow the recommended protocol jump at least one grade level within 3 months. Q: What do you mean “it’s fun” for the child? If a child hates to read, what makes you think they will use Reading Buddy Software? A: Two reasons. First, kids love collecting points and winning the prizes. And second, they love the stories in Reading Buddy. A lot of kids who hated reading told us they loved using Reading Buddy Software. Q: You mentioned you took training courses. Which ones? A: For example, one of the courses I took was the Wilson Reading System, which is based on Orton-Gillingham. Q: Can you share with us something about your personal life? A: I live with my husband and my 5 beautiful children (including triplets!) in Baltimore, Maryland. Repeated reading means the child reads the same passage multiple times. Decades of research indicates that if you want your child to improve fluency and comprehension, they should not be going from article to article or paging through a book. Instead, they should read a body of content at least 3 times in a row. The more your child reads a body of text, the easier it is for them to decode the words and read the text accurately. Their familiarity with the text frees their mind to work on reading more fluently, with expression. And reading with expression, leads to improved comprehension. Achieving a higher level of fluency and comprehension in a body of text gives your child an experience of reading at a level that they can apply to new text. With Reading Buddy Software, every session your child will read a text three times. Your child will master the text, learn new words, and achieve an elevated level of fluency and comprehension that they can apply to future readings. In addition to guided reading, it’s also crucial for your child to hear fluent reading. Think about it: did you teach your child how to talk? You may have explained some vocabulary here and there, corrected an occasional grammar mistake, but essentially your child learned to talk by listening to other people talk. It works similarly with reading. In order to improve fluency and comprehension, your child has to listen to fluent reading. Notice that in steps 2 and 5, Reading Buddy Software reads to your child. So a child using Reading Buddy Software hears a dramatic and fluent reading twice each session. Hearing these fluent reads is instrumental in helping them become more fluent readers. And improved fluency leads to better comprehension. The Precision Memory Tracking Technology (PMTT) records your child’s weaknesses, creates personalized practice readings, and drills your child until mastery is achieved. Many parents want their children to improve their reading comprehension. But how to accomplish that is often misunderstood. The best way to improve reading comprehension is not to focus on comprehension; it’s to focus on fluency. Your child’s fluency will determine the depth of their comprehension. Fluency is the ability to read words accurately, easily, and with expression. First, a child learns to decode words and pronounce them accurately. This is the first step to fluency. The more a child reads, the easier it is for them to read accurately. It’s not that the accuracy increases; it’s that the effort required for the same accuracy decreases. First, a child learns to decode words and pronounce them accurately. This is a very important step in a child’s progress toward improved comprehension. Why? Because the more brain power your child has to invest in pronunciation, the less brain power they have available for comprehension. There’s a limit to how much your child can do at once. If he’s focused on one thing, he’s not able to focus on another. Last night I was talking to my husband while he was brushing his teeth. He understood everything I said while at the same time brushing and swishing. What would have happened if I tried to talk to my 9 year old while he was brushing his teeth? For my husband, brushing is automatic. He doesn’t have to think about it. In fact, he can do it while thinking about something else. But for a 9 year old, brushing takes more thought. He has to concentrate. And therefore, he can’t concentrate on anything else at the same time. The problem with many young readers is that they spend so much energy thinking about how to read that they don’t have spare energy to think about what they’re reading. A child with impaired fluency is like an actor who doesn’t know their lines. As long as they’re thinking about the words, the meaning doesn’t come through. And that’s why improving fluency leads to improved comprehension. Before your child can find the meaning of the words, the words themselves have to be easy to read. After your child reads accurately and easily, they can read with expression. Expression catapults comprehension. Think about a public speaker. 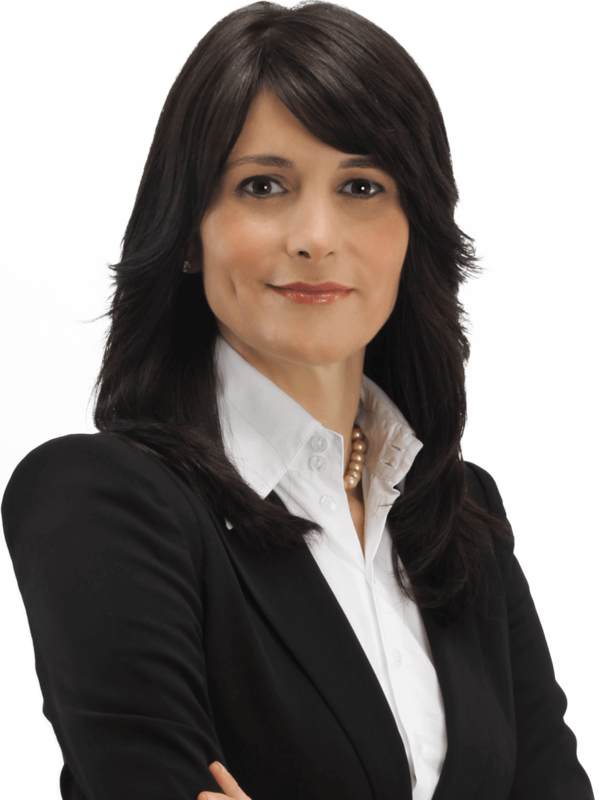 A good public speaker uses volume, tone, emphasis, cadence, and phrasing to convey meaning. Our understanding is not just a function of what the speaker says; it’s also a function of how he says it. A poor public speaker, on the other hand, is monotone. Their delivery is robotic. It lacks expression. And without the verbal cues, their message is less engaging and harder to comprehend. It works similarly with reading. Comprehension skyrockets once a reader realizes which words to chunk together and which ones to emphasize within each chunk. But again, this chunking of words and injection of emphasis is only possible for fluent readers who have the brain capacity to make sense of what they’re reading. I remember as a child, most of what we read in school was soooooooo boring. It’s hard enough to learn to read, but what I was being asked to read was killing my interest in learning the skill altogether. The same thing is happening today. Many schools, tutors, and reading programs fail to choose good content. The result is that the child’s progress suffers. People think that content is irrelevant, that as long as it’s age appropriate, children will learn to read regardless. That’s only partly true. The fact is that content has a big impact on the child’s experience reading and on the pace of their development. If the content is dull, it’s hard for the child to focus and they won’t be motivated to read. If, on the other hand, the content is engaging, it’s easier to focus and the child will want to read. These issues of focus and motivation directly impact your child’s progress, and therefore, in a very practical way, content matters! Of course, the content has to be age appropriate and reading-level appropriate. That’s obvious and easy. Pretty much everyone gets that right. In my opinion though, that’s far from the definition of good content. That just gets you in the game. To win, the content has to be truly engaging. The more captivating the content, the faster your child will develop reading competency. Now I want to temper my point. It’s important that children also learn to read content that doesn’t excite them. This is an important skill. I wasn’t excited about reading the instructions on the absentee ballot, but if I wanted my vote to count I had to get through it. Certainly, in order to succeed academically, a child must be able to read a variety of content, including the boring kind. But, for the most part, what your child reads should be riveting. When I was developing Reading Buddy Software, I took this very seriously. Most reviewers don’t care so much about content in the way I’m describing, as long as it’s age and level appropriate. So it would have been easy to get away with using mediocre content. I refused to do that. Instead, I spent over a year searching for just the right content for every reading level. And in the end, a lot of the articles and stories I wrote myself. The result is that kids enjoy using Reading Buddy Software. They know they’re going to read something interesting. They know they’re going to learn something that’s meaningful to them. And this one is big; they know they’re going to learn something that helps them feel smart around other people. What’s the body’s biggest organ? Children who use Reading Buddy Software know the answer to that question. It’s not the brain, the liver, or the lungs; it’s your skin! And did you know that skin is not only on your body, it’s all over your house! That’s right. A lot of the dust in your home is dead skin. If your child read an article like that today, what do you think would happen? Wouldn’t they come to you and say, “Guess what I read today”? How great would that be? Your child coming to you excited about what they read. Did you know that you can go snow skiing in the summer? Yup, it’s true. There’s an indoor ski resort in Dubai. And kids who use Reading Buddy know where Dubai is (quick geography lesson) and they’ve seen a picture of the resort, which they think is very cool. Sorry, I can’t resist, I have to share with you one more. If you’re like most people, you answered…Abner Doubleday. But if you were a child using Reading Buddy, you would know that Abner Doubleday did not invent baseball. And you’d also be able to tell the story about how that myth came to be. The bottom line is that content matters. What your child reads will affect how much your child values reading. And practically speaking, that makes a big difference as to whether or not and how quickly your child progresses. If you use Reading Buddy Software, you’re all set with hundreds of stories that your child will think are awesome. Try Reading Buddy Software risk-free for 1 month. If, for any reason, you're not satisfied, call or email anytime within 1 month and we’ll gladly refund your money, no questions asked. You can keep the microphone headset (worth $50) as a gift. Your child will need a USB microphone headset to use Reading Buddy Software. It’s free with your purchase, as is 2-day Express Shipping. (Andrea Electronics NC-185 High Fidelity Stereo USB Computer Headset with Noise Canceling Microphone and Volume/Mute Controls.) $55 Value. Try Reading Buddy Software risk-free for 1 month. If, for any reason, you're not satisfied, simply call or email anytime within 1 month and we’ll gladly refund your money, no questions asked. You can keep the microphone headset (worth $50) as a gift. 400 Reading Sessions (20-40 minutes each) divided into 4 reading levels for grades 1-8. Each session includes the complete Reading Buddy 7-step practice protocol (repeated readings, word mastery exercise, & comprehension questions). The Reading Buddy Point & Prize Motivation System. 1-click access to synonyms, Spanish translations, Wikipedia, and pictures. Full reporting including stats and graphs for time spent, word accuracy, comprehension, and pass/fail. Unlimited Usage. Every user can access any of the 400 readings as many times as they want. Up to 4 Users.You can create separate accounts for each child. Unlimited Technical Support. Phone and email. Up to 4 Users.You can create separate accounts for up to 4 children. Does the Price Ever Change? Compatible with Mobile or Tablets? Reading Buddy Software is a low-cost monthly subscription, which you can cancel anytime. Therefore, there’s no free trial. Most parents interested in Reading Buddy Software simply try it for their children. We have a very high success rate and kids love the point and prize system, engaging game mechanics, encouraging voice-animated characters, and kid-friendly high-tech UX. But if you’re not satisfied for any reason, simply cancel and you won’t be billed any further. Up to 4 Users. If you have multiple children, you can create separate accounts for up to 4 children. You can login to Reading Buddy Software on any computer using Chrome, Firefox, or Microsoft Edge. Reading Buddy Software is not currently compatible with tablets or smartphones. Immediately after you order we’ll email you a user name and password. Reading Buddy Software is $79/month. You can cancel anytime. No contracts. Reading Buddy Software is designed for children in grades 1-8. Your monthly subscription fee never changes. The fee you sign up with is the fee you pay for as long as you have your subscription. Reading Buddy Software will increase fluency and comprehension for many types of readers grades 1-8. Reading Buddy Software is not a phonics program; it’s a fluency and comprehension program. Therefore, in order to succeed with Reading Buddy, your child must have a basic understanding of phonics and be able to read simple words. Reading Buddy Software is not for every child. It’s important you understand its weaknesses. Reading Buddy Software is not a quick fix. To transform your child’s reading skills they will have to follow the Reading Buddy Software practice protocol, which takes 15-30 minutes/day, ideally 5 times/week. Reading Buddy Software is not a phonics program; it’s a fluency and comprehension program. In order for Reading Buddy Software to work, your child must know how to sound out the letters of the alphabet and how to read simple words. Reading Buddy Software is not completely hands-off for you, the parent. Your role is to utilize the built-in Reading Buddy Point & Prize System and to make sure that the prizes you’re dangling are motivating your child to use Reading Buddy Software. If they’re not, you’ll need to change them. In 10% of the cases, Reading Buddy Software initially delivers a library too easy or too hard for the child. This can be a little disappointing at first. It will require you to edit your child’s library level. This will take you about 3 minutes to do and there’s no cost. Word-recognition training: Computer versus tutor. Reading & Writing Quarterly, 22, 395-410. 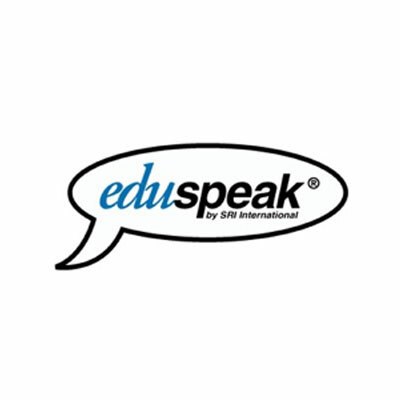 Includes Eduspeak® speech recognition technology under license from SRI International®. Yes. For 1-4 users please purchase online. If you need 5 users or more please contact us. Your child needs a USB microphone headset to use Reading Buddy Software. In theory, any good quality USB mic headset should work well with Reading Buddy Software, and you can try whatever one you want, and sometimes we hear from users that they’re using a different mic headset and it works well, but we’ve done A LOT of testing and have found that the speech recognition accuracy with the Logitech ClearChat Comfort/USB Headset H390 is usually far superior. It’s crucial that you have the right USB microphone headset, otherwise Reading Buddy Software may not work properly. Logitech ClearChat Comfort/USB Headset H390 is the approved USB microphone headset, available on amazon.com and at many other online and local retailers. Reading Buddy Software is not compatible with tablets or mobile devices. You’ll need a desktop or a laptop computer. Yes, Reading Buddy Software is web based. You’re issued a user name and password and can login from any computer anywhere. Reading Buddy Software is subscription based pricing. You can cancel anytime. There are no refunds. Unlimited Usage. Your child can access any of the 400 readings as many times as they want. Unlimited Users. If you have multiple children, you can create separate accounts for each child. Downloading Reading Buddy Software is easy. Immediately after you place your order you’ll be taken to the 1-Click Reading Buddy Software Download Page. You simply click on the download link provided and Reading Buddy Software will automatically install on your computer. *Reading Buddy Software will not work on tablets, iPads, or Smartphones. Yes, you can switch Reading Buddy Software from one computer to another at any time. And there’s no fee to do so. For each license you buy you can download Reading Buddy Software onto 1 computer. You can set up as many users as you want on that computer. If you want to put any users on another computer, you would have to buy an additional license. Purchasing more than 10 licenses for Reading Buddy Software triggers discounted pricing. You’ll need 1 license for each computer. 10-20 computers: 40% discount. 20-50 computers: 50% discount. Over 50 computers: 60% discount. Your child needs a USB microphone headset to use Reading Buddy Software. In theory, any good quality USB mic headset should work well with Reading Buddy Software, and you can try whatever one you want, and sometimes we hear from users that they’re using a different mic headset and it works well, but we’ve done A LOT of testing and have found that the speech recognition accuracy with the Logitech ClearChat Comfort/USB Headset H390 is usually far superior. It's crucial that you have the right USB microphone headset, otherwise Reading Buddy Software may not work properly. Logitech ClearChat Comfort/USB Headset H390 is the approved USB microphone headset, available on amazon.com and at many other online and local retailers. Reading Buddy Software cannot be downloaded to a tablet or a mobile device. You’ll need a desktop or a laptop computer. See "System Requirements" for details. Reading Buddy Software is downloadable software you install on your computer. After you place your order, you're immediately taken to a 1-click digital download page. From there you download Reading Buddy Software to your computer. It's instant. Reading Buddy Software is subscription based pricing. You can cancel anytime. There are no returns or refunds.